Udayana University held Socialization of SNMPTN, SBMPTN and Bidik Misi Year 2019 which was attended by representatives from all high schools / vocational / MA throughout Bali. 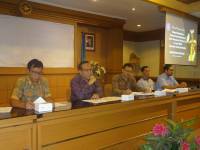 The socialization was held at the Widya Sabha Auditorium at Bukit Jimbaran Campus (11/1) with a Deputy Rector for Academic Affairs, Prof. 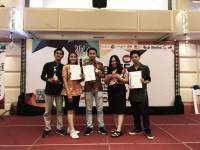 I Nyoman Gde Antara, Public Relations of SNMPTN Unud and Bidik Misi Manager, Ida Bagus Wayan Gunam, Ph.D and Head of BKM Unud. 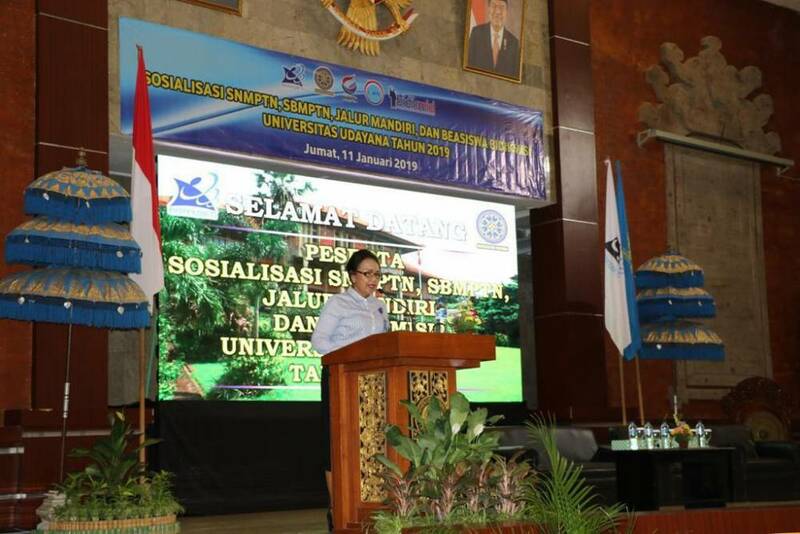 Rector of unud, Prof. A A. Raka Sudewi in his remarks on the opening ceremony, said that according to Permenristekdikti Number 60 Year 2018 the SM-PTN 2019 pathway includes the National Selection of Higher Education (SNMPTN) and Joint Selection for State Universities (SBMPTN) and Independent Selection. For the SNMPTN and SBMPTN lines carried out by the College Entrance Test Institute (LTMPT). Whereas for Independent Selection is carried out by each PTN. The launch of the LTMPT was officially carried out by the Minister of Research, Technology and Higher Education on Friday, January 4, 2019 at Diponegoro University. The LTMPT aims to: (1) carry out tests that are credible, fair, transparent, flexible, efficient and accountable; (2) assisting universities to obtain prospective students who are predicted to be able to complete studies in higher education based on academic values ​​or academic values ​​and other achievements through the SNMPTN pathway; (3) assisting universities to obtain prospective students who are predicted to be able to complete their studies in higher education based on the results of the Computer Based Writing Test (UTBK) which is a potential scholarship test and academic potential test designed to predict the ability of participants to complete their studies at PTN. The allocation of capacity to receive new student undergraduate programs through the pathway: SNMPTN of at least 20% is based on the results of the search for achievements and academic portfolio. The minimum SBMPTN is 40% based on the results of the implementation of tests using a computer / UTBK and a maximum of 30% of the capacity quota.